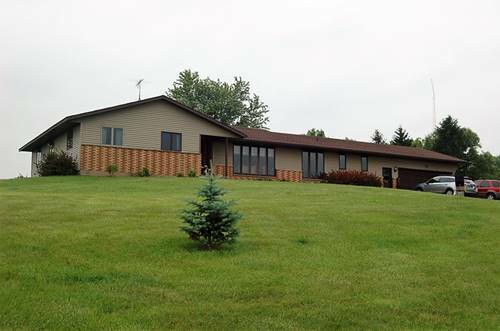 2400 Sq ft ranch on 5 acres, mol, zoned ag. Brick and vinyl sided, open floor plan, updated baths and kitchen, fireplace in living area, new bamboo flooring, kitchen with granite countertops, ceramic flooring and all appliances stay, 1st floor laundry. 27x32 pole shed, 10x13 shed, horse barn, 2 level brick paver patio, reverse osmosis system, LP tank owned. For more information about 16085 W Hazelview, Polo, IL 61064 contact Urban Real Estate.